The RCMP says Canada will no longer be a soft jurisdiction for companies that use bribery to win contracts and concessions overseas. 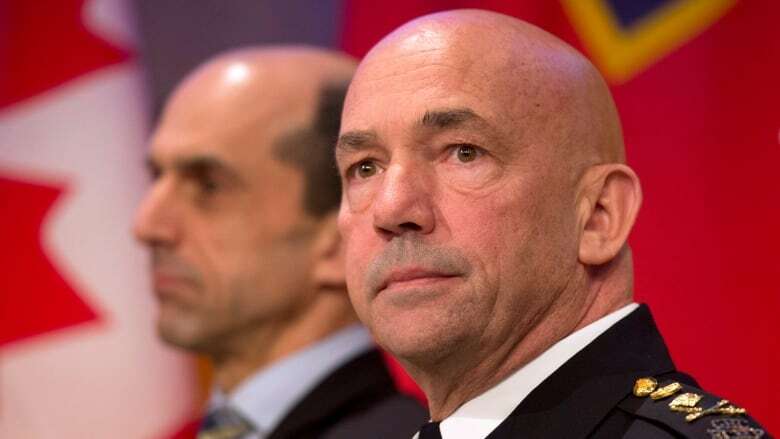 The RCMP says it is more aggressively pursuing Canadian companies that pay bribes to win lucrative contracts overseas and, in future, more cases will lead to real jail time for individuals rather than just fines for companies. Ottawa businessman Nazir Karigar was sentenced to three years in prison last May for arranging bribes to public officials in India, in a bid to win a $100-million security contract from Air India. He was the first Canadian to go to prison for bribery overseas but the next one could be going away for a lot longer, says Sgt. Patrice Poitevin of the RCMP’s sensitive and international investigations unit. Karigar was charged under an older version of Canada’s Corruption of Foreign Public Officials Act, which prescribed a maximum penalty of five years in prison. “With the amendments that were enacted last year, it’s up to 14 years, which is the second-highest level of sentencing in the Criminal Code,” said Poitevin. He adds it’s now also possible to charge individuals for merely agreeing to a bribe, even if no actual money changes hands. The United Nations estimates that more than $1 trillion is paid in bribes each year. The cost of that corruption to the world’s economy is a massive $2.6 trillion, most of it lost to poor countries that can least afford it. Corruption allows shoddy and overpriced infrastructure projects to drive out well-built, cost-effective ones. It also undermines the rule of law and people’s faith in democratic government. The true cost of corruption in the developing world can be measured in schools and hospitals that are never built, jobs that are never created, and resources that are pilfered and spirited away to foreign bank accounts. While the Canadian government has said it is redoubling its efforts to crack down on foreign corruption and bribery, Canada has historically done a poor job of preventing its companies from using bribes as a tool to drum up business around the world — even though Canadian companies are big players in some of the industries where bribery is most common such as mining. Canada has successfully prosecuted only three major overseas corruption cases. The U.S., by contrast, has convicted more than 50 individuals since 2009 for paying bribes overseas under its Foreign Corrupt Practices Act. More than 50 U.S. companies have also been punished in the past five years, paying fines and forfeitures of about $3 billion. The U.S. Justice Department also runs a Kleptocracy Asset Recovery Initiative (KARI), which has returned multi-million dollar sums to the countries where the bribes were paid. In chronically corrupt countries where any money returned might simply be stolen again, the U.S. has co-operated with NGOs. In one case, it returned $115 million of bribery-tainted U.S. corporate profits to Kazakhstan, but not to the Kazakh government. Instead, the money was used by an independent charity to help Kazakh children. This year, the anti-corruption charity Transparency International upgraded Canada from its lowest rating, "little or no enforcement," to "medium." "It's a recognition of the prosecutions that have been accomplished," says TI Canada's Peter Dent, a Toronto accountant. "But it doesn't rise yet to the level of active enforcement you see in the U.S."
Stung by criticism from organizations such as Transparency International, the RCMP is trying to make up for past inaction. Three years ago, it scored its first major success when Calgary-based Niko Resources pleaded guilty and paid a $9.5-million fine. Niko Resources had caused an explosion while drilling for gas in a Bangladeshi village. The blast destroyed the local school and caused significant damage to the village, according to an agreed statement of facts. The company pleaded guilty to presenting a new SUV and other benefits to the Bangladeshi minister in charge of investigating the explosion and determining compensation. Last year, Griffith Resources paid a $10.35-million dollar fine for bribing the wife of a government official to secure a mining concession in Chad. But no individual paid for those crimes. In fact Edward Sampson, the CEO of Niko Resources, made $4.8 million in pay and stock options the year his company was convicted. Sgt. Poitevin at the RCMP’s anti-corruption unit said that is now changing and the results can be seen in three pending cases involving bribes paid to win the Air India contract — all charges against individuals. There are also charges expected from the investigations into SNC-Lavalin. Transparency International's Peter Dent welcomes the prosecutions, but hopes to see more. "So far there just haven't been enough cases to make an effective deterrent."